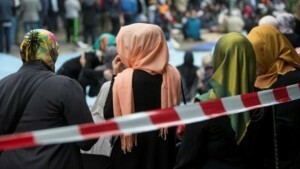 GENEVA residents on Sunday voted for a controversial new “secularism law”, which will among other things ban elected officials and public employees from wearing visible religious symbols. The new law´s stated ambition is to expand the dialogue between religious groups and the state, and to better define the limits to religious expression in the public sphere. The right-leaning cantonal parliament adopted the text last April. It also has the backing of Geneva´s three main religious communities, the Protestant Church, the Roman Catholic Church and the Old Catholic Church. Two legal appeals have been filed against the new text which could block it from being adopted, despite Sunday´s vote. The Geneva vote was among a range of local, regional and national issues voted on across Switzerland Sunday as part of the country´s famous direct democratic system. At the national level, voters resoundingly rejected an initiative brought by the Green Party´s youth wing, which called for a law to rein in urban sprawl by blocking zoning of new construction land.